Today Turtle would like to share with everybody his new found love. We all know how much Turtle enjoys a good cuppa; sometimes it is all he talks about. But Turtle has something that means he enjoys his brew that little bit more. The best part is that you can download them here from Turtle's Blog absolutely free and have a pretty brew of your own. A programme to let you view the pdf (such as Adobe Reader), you can download one for free here if you don't have one already. a hot brew for while you work. 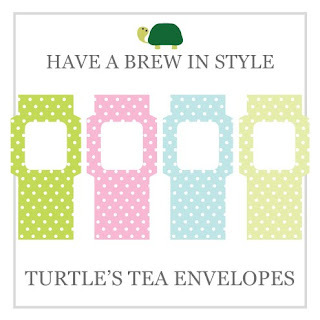 Click here to download Turtle's Tea Envelopes. Turtle hopes that you enjoy his Tea Envelopes, they are free to download and can be printed as many times as you like, but they are for personal use only, so please no sharing or selling the file or the Teabag Envelopes once they are made. You may only download the file if you agree to these terms and conditions. 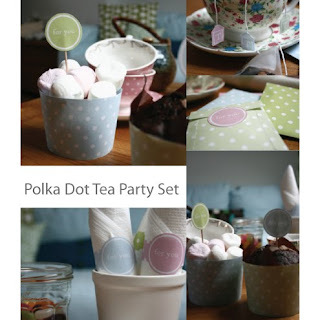 Also, now available in Turtle's Shop is the entire printable kit for a lovely tea party. 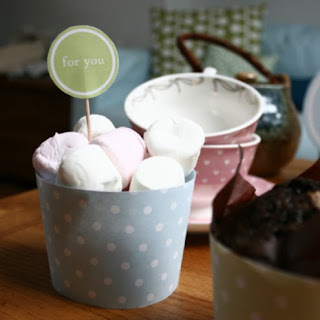 Including cupcake wrappers and cake toppers. 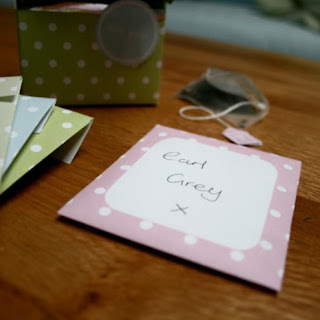 Teabag envelopes with teabag tags. 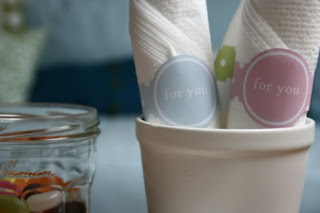 And matching napkin rings, place cards and stickers to decorate your lovely tea party with. Click the picture to visit It Belongs To Turtle. Super sweet, now all I need to do is have a tea party! That's a lovely idea, Turtle - just the ticket for an afternoon tea party! 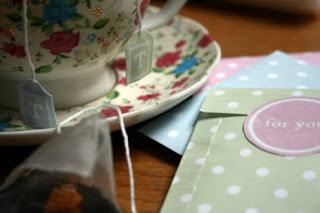 I have put your lovely badge on my website, and hopefully lots of people will join you for tea soon! Glad you like them! If you're interested they also come as part of a 'gift kit' where you get stickers and tags and a bag. It's available in Turtle's Shop. A gorgeous little porcelain teapot in white with blue flowers and gold detailing hangs from an 18" gold plated brass chain accompanied by a single sapphire blue glass flower. I'm not sure either if I'm putting this in the right place, but here's my tenuous link to your tea related item, a set of sweet and gooey cupcake cards! These are lovely. I'm thinking of wraping them round an assortment of teabags, putting them in a kilner jar, tied with ribbon and giving as a pressie to a tea loving friend! That's a lovely idea. Send Turtle a picture when you're done!